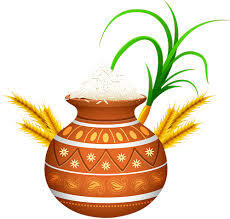 Chettinad cuisine is all about spices, the blend and perfect balance of which make the cuisine. 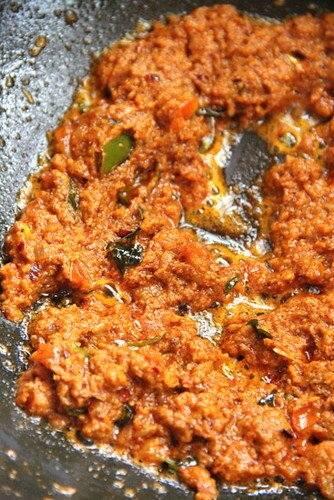 Pepper, cumin, fennel, coriander cardamom, clove and the heat of red chillies with the balance of fried coconut, all fried and blended, gives way to the fiery aromatic Chettinad masala. 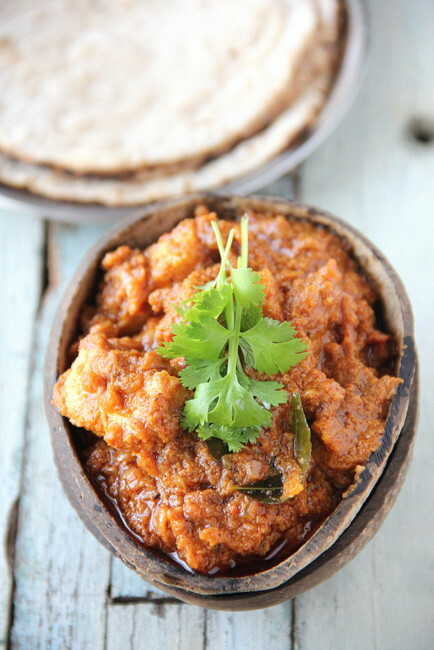 Unlike the addition of the flavorful garam masala to any side dish pertaining to the North, Chettinad masala curries have them all freshly fried and ground along giving life to the dishes. My daughter was mentioning about this dish she tried past weekend which was a hit at home. I made slight changes, from the recipe she had tried and passed along, to suit my taste. 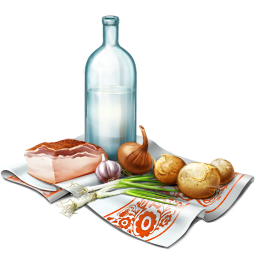 Paneer or cottage cheese, 200 grams, cut into 1 inch pieces. 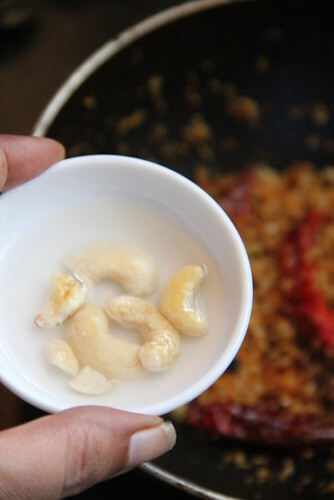 Soak 3-4 cashews in 3 tbsps of luke warm water. Heat 1 teaspoon oil in a non-stick pan and sauté coriander seeds, cumin seeds, fennel seeds, black peppercorns, cardamom, clove, cinnamon and star anise in order with a gap of 3-5 seconds during each addition, feeling the aroma of each while getting fried. 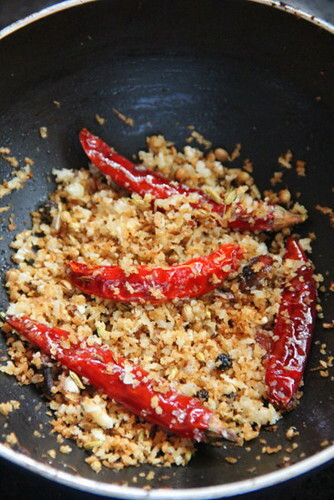 Add chillies lastly and sauté along for 5 seconds. Add coconut and sauté until brown and fragrant. Cool and grind to a fine paste adding the soaked cashews and its water. You may add a little more water if needed to grind fine. 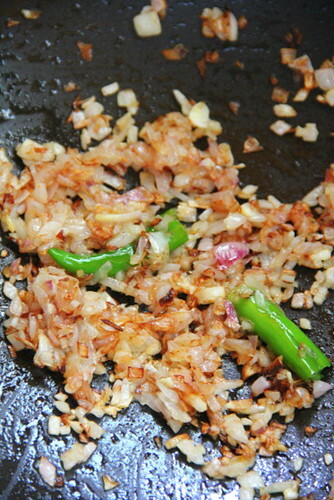 Heat the 2 tablespoons oil in the same non-stick pan and sauté the chopped onions until well browned followed by the green chilly. 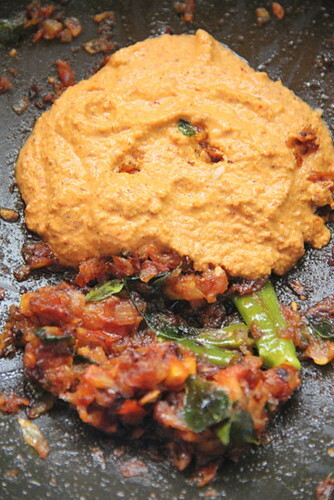 Add red chilly powder and turmeric powder, followed by curry leaves chopped tomatoes. Let the tomatoes turn mushy. Stir in ginger garlic paste and sauté until the raw smell disappears. Add the ground paste at this point. Pour along 1/2 cup of water and add salt. 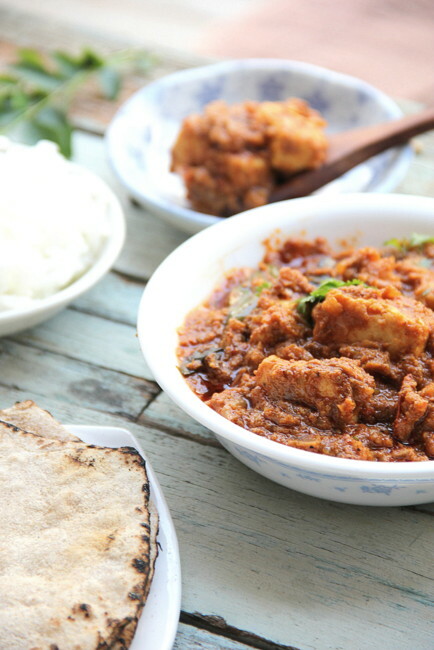 Add along the paneer cubes and stir gently to combine taking care not to break the pieces. 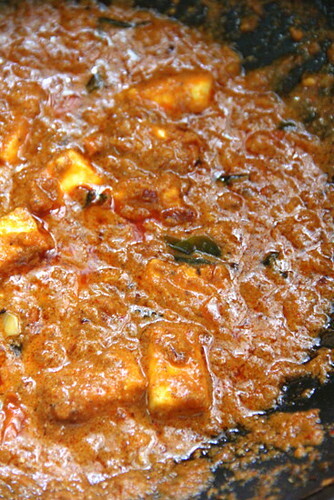 You may shallow fry the paneer cubes before adding. I added them raw, after a gentle rinse in luke warm water. 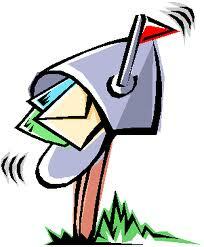 Cook with a lid closed for 5 minutes or until the oil separates. 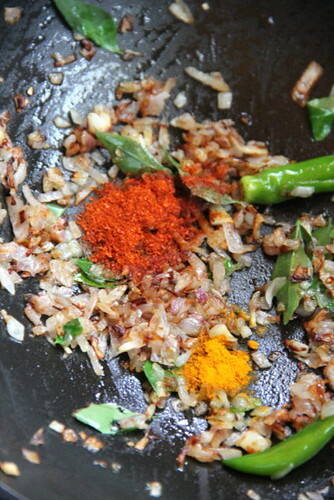 Garnish with chopped coriander. 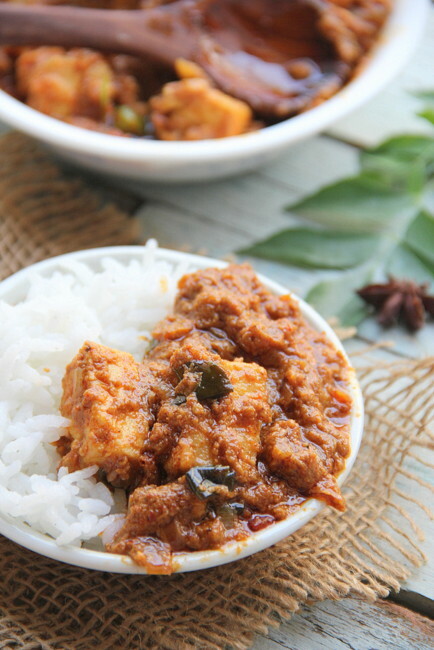 Paneer Chettinad Masala goes well with any main dish, steamed rice or any mildly flavoured rice like pulao or ghee rice. 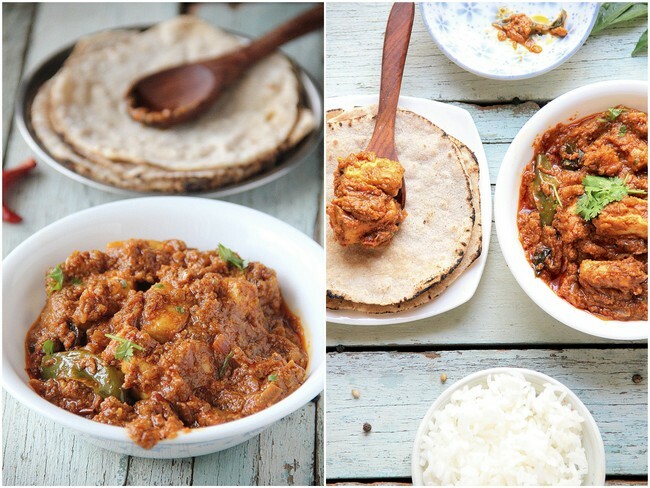 Pairs better with Indian breads.